Money Advice +CRM offers the user a comprehensive fact find checking facility which is continually monitored as the user completes the fact find. 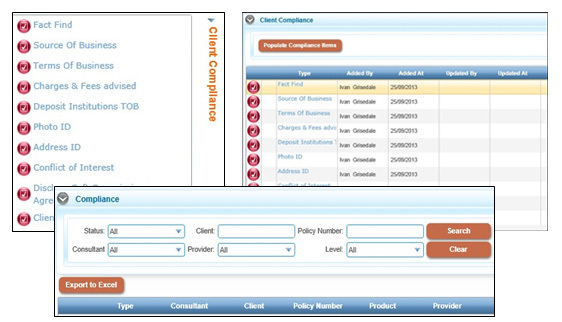 Each advisor firm is also able to define the compliance list they wish to use. The user is then able to click on the individual items for detailed information and complete the missing compliance items and attach documents where required e.g. documents, proof of ID etc.